I am creating this site to improve communication and recognition among our squad members. 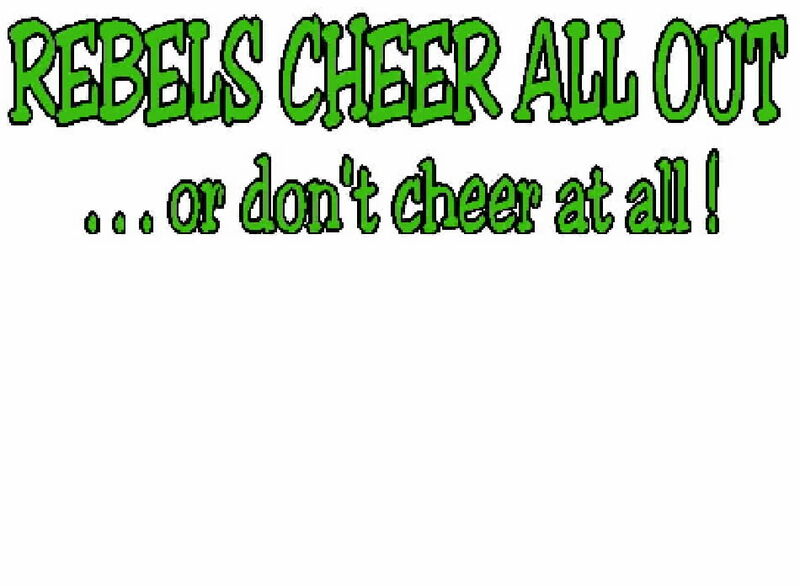 In addition, this site will keep our students, staff, administrators, community, and fans up-to-date with the latest news and information from your spirit squads, the Ridgewood Rebel Cheerleaders. Please click on the photo album link to see the latest photos from some of our games, activities, clinics, fundraisers, and other happenings. "SPIRIT SQUADS LIKE YOU HAVE NEVER SEEN BEFORE"
Ridgewood's Cheerleading Program is selected as the most improved of all the squads. This is the most prestigious award any squad can receive because this is what you come to camp for. Professional choreographer works with cheerleaders on their dance routine for competition. Cheerleaders performed at Comiskey Park on August 10th. Please see our photos by clicking on the photo album. Cheerleaders performed and gave a free clinic for all youngsters at the Harwood Heights Picnic / Festival on August 25th. It was held on the Union Ridge School grounds. Information for incoming Freshman interested in becoming a cheerleader was made available at Freshman Orientation on August 19th. Cheerleaders featured in Norridge And Harwood Heights Newspaper on August 29th. Cheerleaders hosted a clinic at RHS on September 14th for local youngsters in grades 1 through 8. Over 50 girls attended the clinic. Grade school students perform with the Varsity Cheerleaders during the 1st quarter of the game. Cheerleaders featured in local newspaper. Please click here and then click Norridge news for August 29, 2002. Also, Varsity cheerleader set to perform in London, England. Please click "news" after Norridge news for August 29, 2002 is loaded. Please feel free to contact us through an e-mail or by signing our guestbook if you have any comments or suggestions.